Discussion in 'BMX & Dirt Jumping' started by haromtnbiker, Apr 12, 2008. Yep, more pictures... I took none of these! 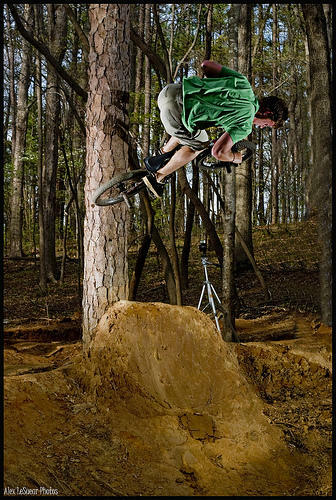 looks like some sick trails, nice pics too, the flash is perfect. sick! 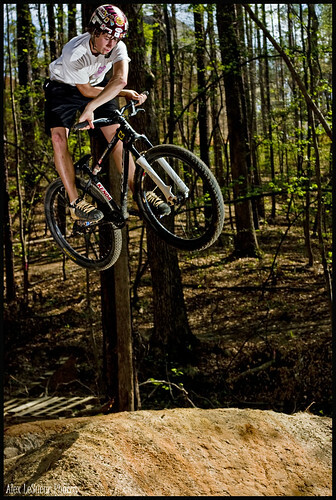 Love the look of those trails, look super fun! 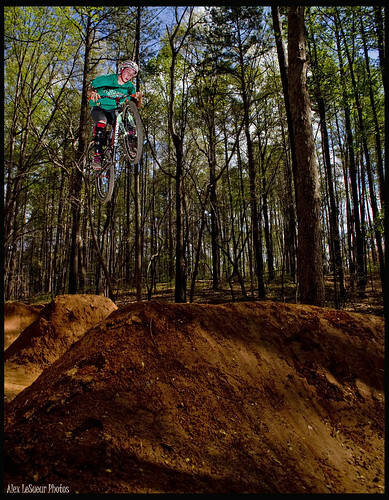 I'm gonna make it down one of these days to throw some dirt around and ride my bicycle. always look forward to your shots! Is this out off 401? I used to ride out there many many years ago, sort of looks like it. Looks good! I hope to get out there this weekend if the weather holds. It's about 25 min. from 401. Sweet pics. That place looks like fun. That little quarter up to the tree is dope. No offense; I can't give you that info. I guess the scene has changed. 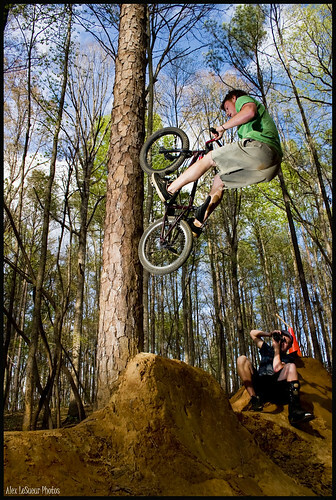 Back when I used to ride with Chris Doyle and Ryan Barrett, we didn't have "secret" jumps. does anyone ride out at 401 anymore? I took my wife out there a while ago and it didn't look like it had been maintained.